When it comes to watches, one of the popular make is the dive watch. Its appeal is not only limited to divers and sports enthusiasts. Stylish dressers as well as corporate employees love the functionality and look of dive watches. With the continuing popularity of these watches, manufacturers have come up with expensive and inexpensive models to reach a broader market. Seiko is one of the most popular watch brands for so many years now and included in their line of best affordable dive watches is this imported, solar-powered dive watch that boasts of a two-tone unidirectional bezel and a 43.5 stainless steel case with a Hardlex dial window. 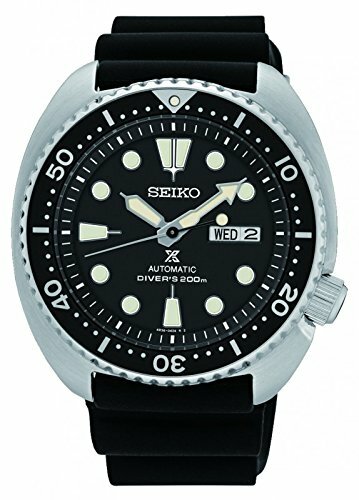 As with most of Seiko’s watch models, this dive watch is powered by a Japanese quartz movement complete with analog display. Other features include a round dial with chronograph sub dials that add to its appeal and a date window. The wrist band is a ribbed polyurethane material with a buckle closure and has an affordable price tag less than $200. For the price of this analog, chronograph watch that is less than $100, it is safe to say that this good looking timepiece is a good buy. 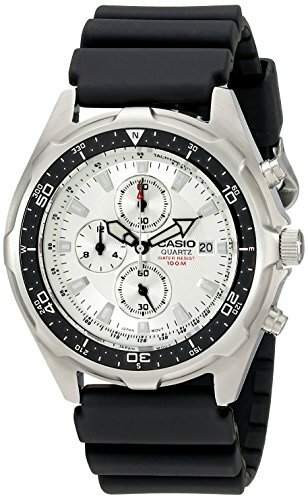 Water resistant at a depth of 100 meters or 330 feet, this Casio watch is perfect for snorkeling and swimming but not really for serious scuba diving. Considered to be one of the best affordable dive watches, this watch has a black resin band secured with a buckle and has a white dial with a printed black top ring. Bezel is gear-edge while other features include three sub-dials, 45 mm stainless steel case with mineral dial window and open lugs. 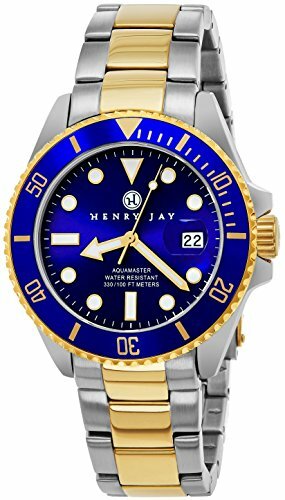 This two-tone classic-looking watch is not only stylish but can be included in the list od the best affordable dive watches available online. This analog watch is golden plated and has a blue dial with matte finish. Other features also include a stainless steel unidirectional bezel with coin edge detailing and gold tone markings and solid stainless steel links. This luxurious watch has a water resistance depth of 100 meters and the three-hand functionality of the luminous markers and hands are complemented with a gold-plated bezel with gold center fill. Moreover, its mineral is scratch-resistant. This dive watch is very affordable at less than $100. Seiko came out with the Seiko Prospex SRP77X series in 2016 and one of these models is the SRP777 which is also referred to as “Turtle”. With a design similar to the classic look of the Seiko 6309 dive watch which was produced for 12 years more than 2 decades ago. What makes this model stand out is its unique shape that resembles a cushion and sits well on the wrist. It comes with a Seiko 4R36 automatic movement with hacking and hand-winding seconds. An ISO certified dive watch, this affordably priced model has a water resistance depth of 200 meters and a unidirectional bezel with 120 clicks. Hands and markers are lumibrite and the watch boasts of a Hardlex crystal and a 45mm case diameter. Its power is long lasting with 50-hour power reserve. 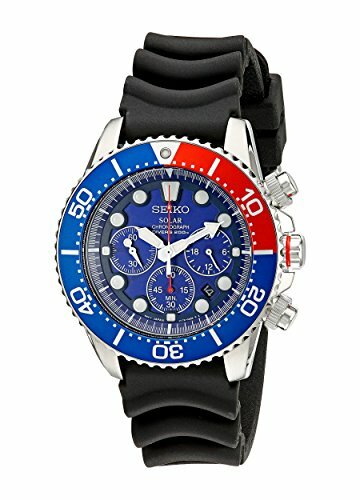 This dive watch from Seiko has a tag price of a little over $300, still an inexpensive watch with its features and class.